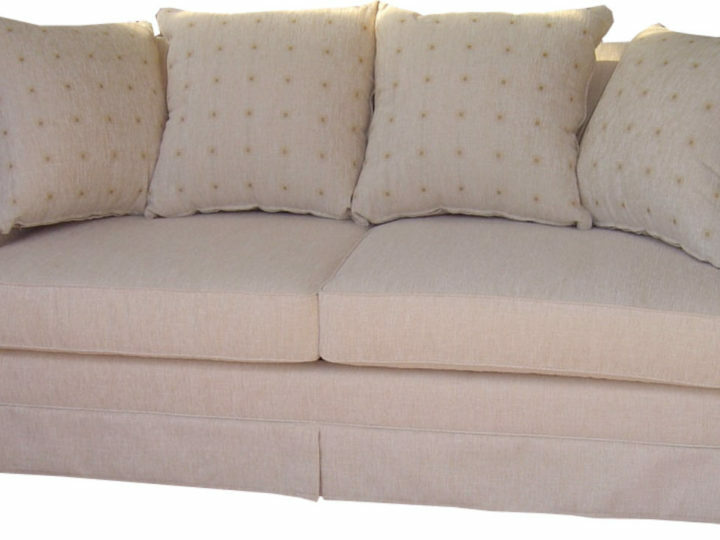 Proudly Australian made Meredith Chaise style sofabed or sofa. High Arm available on either the left or right hand side. Heavy duty sofabed mechanism and a selection of sofabed mattresses, fabrics and leathers. Available with or without skirt. Categories: Sofabeds and Sofas, Australian Made, Double and Queen Sofabeds Commercial, Double Sofabeds. The Meredith Chaise is a beautiful classically designed sofabed or sofa which suits both traditional and contemporary settings. High Arm available on either the left or right hand side. Also available with or without a skirt. Only suits a home/apartment with large doorways – difficult to get into small doorways etc. We all like the Sofabed. Squishy & Ollie love it too! Thanks once again. Your service was greatly appreciated.